How’s everyone doing? We’re almost a third of the way through the year now and it’s about time to look at how things are shaping up and to give you some news about the direction we’re taking here at MusicRiot. Over the years we’ve evolved from reviewing everything that popped through the letterbox (and now it pops in to the inbox) to our current approach of only reviewing things that we really believe in and want you to hear (and there’s plenty of that to keep everyone busy at Riot Towers). And we don’t like negativity; you can get enough of that in the NME or letters/comments pages of the specialist music magazines and websites. So, if you think there aren’t many one or two star reviews, that’s the reason. There’s so much good music out there that we want to focus on, whatever the genre. And we’re having a pretty good year so far. 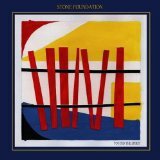 Of the 2017 predictions, Ags Connolly has released a very good and critically-acclaimed second album, Stone Foundation signed to 100 Per Cent records and charted nationally at 25 with their “Street Rituals” album, Sound Of The Sirens have their album “For All Our Sins” released at the end of May on DMF Records and they’re playing the Fields of Avalon stage at Glastonbury. 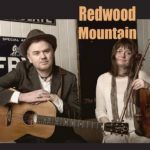 Hannah Aldridge’s stunning second album “Gold Rush” is out on June 16, and Dean Owens has delayed the release of his latest album “Southern Wind” until (probably) early 2018 to focus on yet another side project named Redwood Mountain with traditional fiddle player Amy Geddes. Watch this space for more on that one. As for MusicRiot, we’re going to launch a new review feature very soon called “Sound Bites”, where we take a brief look at albums and singles that are interesting and worth listening to but don’t quite get the full review treatment. 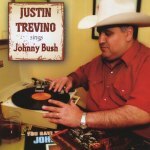 No star ratings, no judgements, just a recommendation to give it a listen. That’s about it for now. Keep your eyes, ears and mind open and check out our Facebook page to find out what we’re up to. 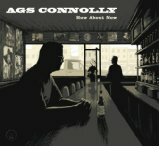 It’s been three years since Ags Connolly released his debut “How About Now”. A long time maybe, but “Nothin’ Unexpected” reflects the work Ags has put in during that time, getting himself out there, playing gigs here and in the States, headlining and supporting, and writing and honing this bunch of songs. 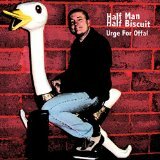 It’s an album of interesting combinations; songs influenced by music from across the Atlantic, written and sung by someone from Oxfordshire and recorded in Edinburgh with a bunch of Scottish musicians. And that’s just the start. “How About Now” was a very good debut album; “Nothin’ Unexpected” is a superb follow-up. 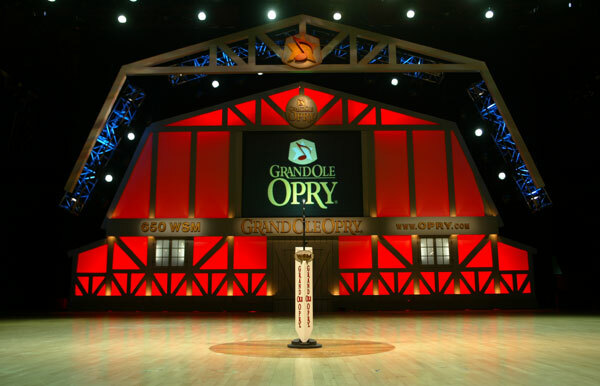 The opening song’s a good indication of what’s coming on the rest of the album; the title “I Hope You’re Unhappy” sounds bitter, but the twist in the lyric is that it isn’t bitterness, it’s longing to rebuild the relationship. The album’s full of contrasts like that, on the surface the songs are robust reflections of everyday life, but dig a little bit deeper and they’re full of clever, delicate ideas; “Fifteen Years” would still be a great song it told the story of one relationship, but it’s actually the story of three different interwoven relationships. The deeper you dig, the more gems you unearth. The songs are pure quality, featuring some regular Ameripolitan themes like the lone drinker, bars in general (with a particularly British twist on “Haunts like This”) but it’s when Ags applies his own poetic twist to songs like “Do You Realise That Now?”, intertwining the idea of his lyrics about a lover being heard a century later and having the same power, with a Latin-tinged arrangement that could have come from “The Wild, The Innocent and the E Street Shuffle”, that you realise how good he really is. And while we’re talking about arrangements, the production on the album is flawless. Whether the ideas came from Ags, producer Dean Owens, or the musicians involved, particularly Stuart Nisbet (playing just about every fretted instrument known to man) every song receives exactly the right treatment. 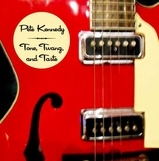 Apart from the full band near-rockabilly of “Neon Jail”, the Nashville feel of Loudon Wainwright’s “I Suppose” and the Appalachian string band styling of “Slow Burner”, the songs are generally allowed plenty of room to breathe, with judicious addition of just the accordion on “When the Loner Gets Lonely” and acoustic guitar and vocal treatments of “Fifteen Years” and the album’s closer “I Should’ve Closed the Book”. It’s the perfect demonstration of the power of the songs that they don’t need huge amounts of embellishment to bring out their power. Well, that’s the difficult second album out of the way. “Nothin’ Unexpected” is released on Friday February 3rd on At The Helm Records (ATH198214). 2016 brought more than its fair share of challenges but also a respectable amount of great music, live and recorded. With 2017 knocking on the door, this is probably a good time to start looking forward again. I’m not making any rash predictions this year; I’m just going to highlight a few things that you should look out for. 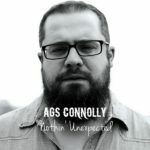 Ags Connolly has his second album, “Nothin’ Unexpected”, out in February and I can’t wait to get my hands on a copy. It’s produced once again by Riot Towers favourite Dean Owens (more about him later) and it should capture Ags in fine form, delivering his fine Ameripolitan songs in his rich, smooth baritone voice. 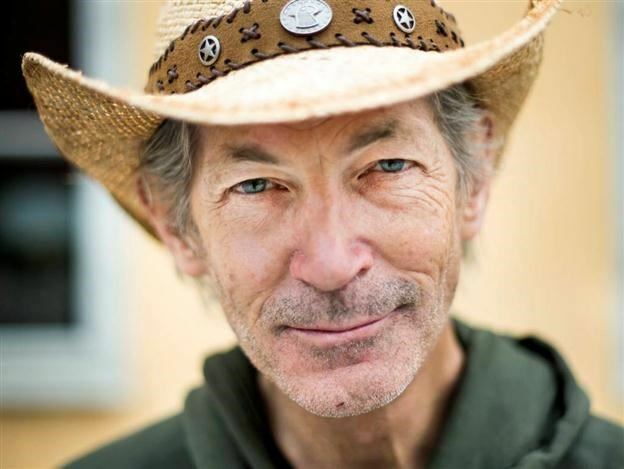 Since his debut “How About Now”, Ags has been touring extensively in the UK and across the pond, including a high profile support slot for Rosanne Cash in 2014 and he’s never been on better form. We should be reviewing this one very soon. These guys have been working their butts off for years now pursuing their new soul vision with a combination of hard work on the gig circuit to build up a devoted following and release some quality albums. They’ve raised their profile year on year and been rewarded with a record deal for their upcoming album. 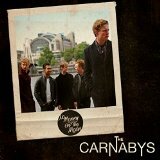 Each of their albums has been a progression from the previous one, so this one should be a bit special. They also have a reputation for attracting some interesting special guests, so we’re eagerly anticipating this one. I know, this starting to sound like a broken record (whatever that is), but you really should be listening to Hannah Aldridge. Like many artists, she’s gone down the crowdfunding route to get her new album made. It’s her second, following her superb debut “Razor Wire” and Hannah tells me that the style has shifted towards a more rock sound (she did a lot of the writing using a Telecaster rather than an acoustic) and from the songs she’s played live already, it sounds like another outstanding album’s on the way, with an eta of June 2017. Another example of 2016 crowdfunding; Dean Owens wrote most of the album before raising the money to record it in Nashville with his dream team, including producer and guitar player extraordinaire Will Kimbrough. Dean’s been working incredibly hard, over the last couple of years particularly, to get some attention for his songs and he’s been rewarded by national exposure from Bob Harris and a support slot for Rosanne Cash. Here’s hoping “Southern Wind” pushes him into the mainstream. Oh god, he’s not still going on about Sound of the Sirens, is he? I am, and like everyone else featured here, the reason is that they’re very good. Despite playing just about every festival in the UK this summer, Abbe and Hannah still found time to record an album. I’ve tried to get some details, but the Sirens are staying schtum, apart from the fact that it’s a bit different. If the new songs I’ve heard live are any indication, it’s going to be very good. Onwards and upwards. 2017 here we come. We loved Ags Connolly’s debut album here at Riot Towers. We’re partial to a bit of country (or Ameripolitan to be more accurate) and “How About Now” is a great album. For our High Fives feature, Ags shares his favourite recorded and live moments of 2014. 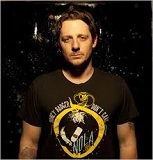 Sturgill Simpson live at St Pancras Old Church, London. It’s been a huge year for Sturgill, with coverage in every major newspaper and US TV show propelling him to the high end of cult status. This gig was before all that though, in front of 30-40 people in a tiny church. Sturgill played solo and his voice and guitar were laid gloriously bare. 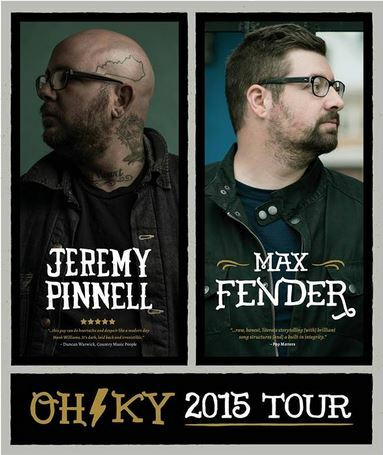 I met Sturgill twice later in the year, and he proclaimed this gig to be one of his favourites. I of course agreed. 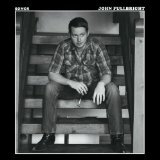 John Fullbright – “Songs” album and live at St. Albans Church, Oxford. I’ve been aware of John Fullbright since his Grammy-nominated debut “From the Ground Up”, and this follow-up has taken him to a higher level in my view. His songwriting is incredibly mature and rounded for someone so relatively young. He reminds me of Randy Newman which is about as good as it gets in my view. The show of his I caught in Oxford was one of the best gigs of any type that I’ve seen in years. 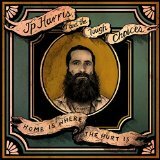 There are a reassuring number of genuine, authentic country acts emerging at the moment, and JP Harris is at the head of the pack, having released his first album in 2011. 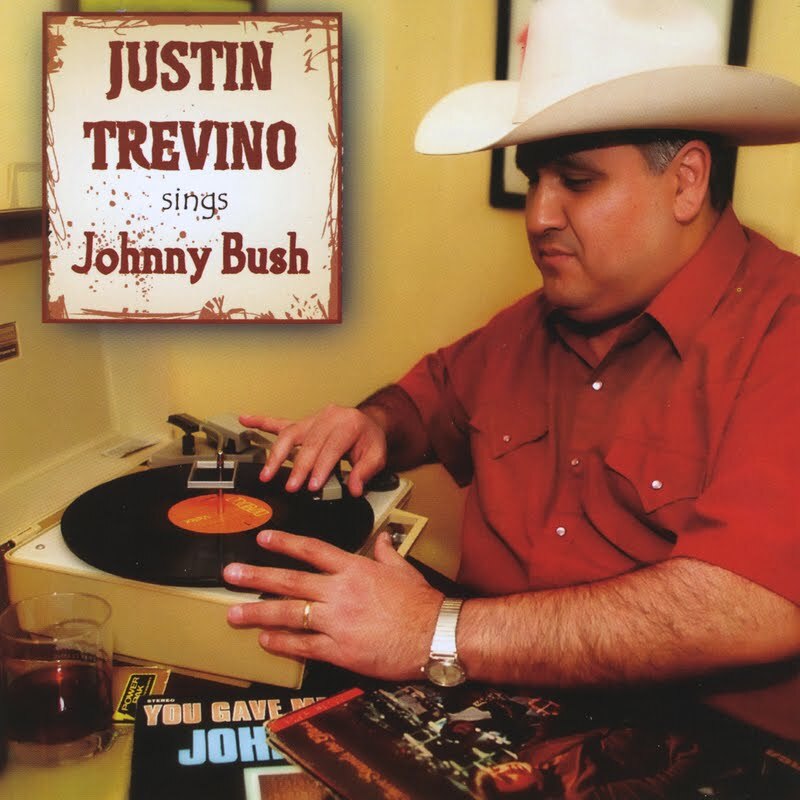 This follow up is a full-on honky-tonk gem which deserves a bigger audience. Not a dull moment. 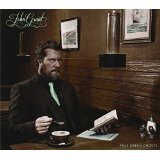 On the subject of real country artists who deserve a wider audience, Jack Grelle from Missouri made a terrific album this year. Having previously made old-time country /folk albums, Jack has decided to go hillbilly and the results are superb. 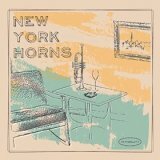 Even if this album wasn’t great it would be worth checking out for the unexpected saxophone on “Chase You ‘cross This Country” alone. 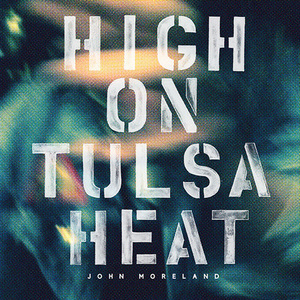 Earlier in the year I named this my favourite album of the first half of 2014. 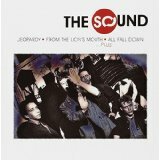 It’s a concept album in the vein of ‘Phases and Stages’, but it stands on its own two feet. 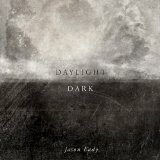 Another artist who deserves wider acclaim, Jason Eady has been around for a while but I think this album will be considered his best work so far.